Stanley has embarked on a cutting-edge advertising campaign which would see it break new ground in forms of advertising. This is a first in South Africa and coincides with the Soccer World Cup being held in the country during June and July. Stanley will showcase its products in 3D on 42-inch LCD screens at three of South Africa’s international airports, OR Tambo, Lanseria and Cape Town International Airport. These screens will be strategically positioned with six screens at OR Tambo, four in Cape Town and two at Lanseria. This will give the company 66 hours of running time showcasing its products in exciting 15 second adverts. “This is all part of our new brand building campaign and follows Stanley’s exciting Super 14 campaign which was done with the Stormers and Sharks,” says Mike Bailes from Stanley. 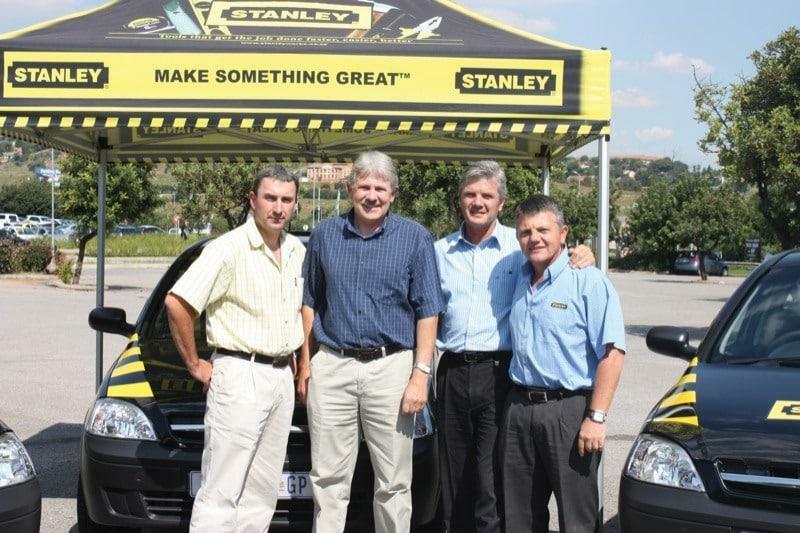 Stanley Tools recently branded three regional vehicles with the Stanley logo / branding. This bold marketing move is sure to pay dividends for the company’s sales agents based in Kwazulu Natal, Western Cape, Gauteng, Mpumalanga, North West and Limpopo provinces. This fleet of Corsa bakkies all proudly features the company’s logos on every panel imaginable. Mike Bailes from Stanley Tools commented that it is now the responsibility of the agents to make these newly branded vehicles work for them and the company. Our passion for excellence is seen around the world in our disciplined operations, purposeful business growth and loyal customer relationships. Stanley is driven by a passion for excellence, disciplined by unwavering standards challenged by a world of new expectations inspired by the chance to make a difference.